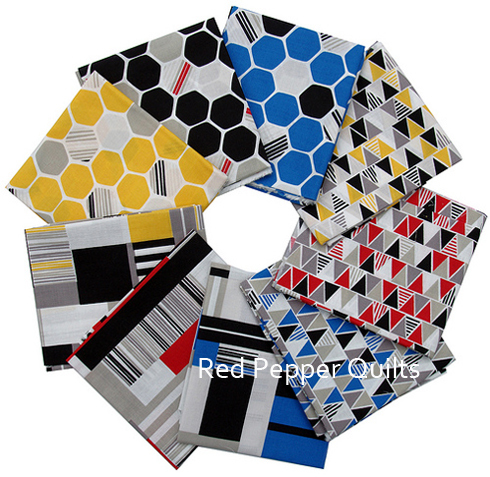 iHaus is the recently released collection by Michelle Engel Bencsko for Cloud9 Fabrics and is a contemporary perspective of Bauhaus Art- a German School of Art (1919-133) with primary palette - red, blue, and yellow and simple shapes - circles, triangles and squares. I rather like the simple clean lines of these fabrics and in particular love the Hexagon prints! Also arriving this week ~ a bundle of black/white fabrics by Alexander Henry. Alexander Henry (AH) fabrics are unique and sought after, and often feature bold and large scale designs. For reference the numbers on the Countdown print are 3 inches tall. 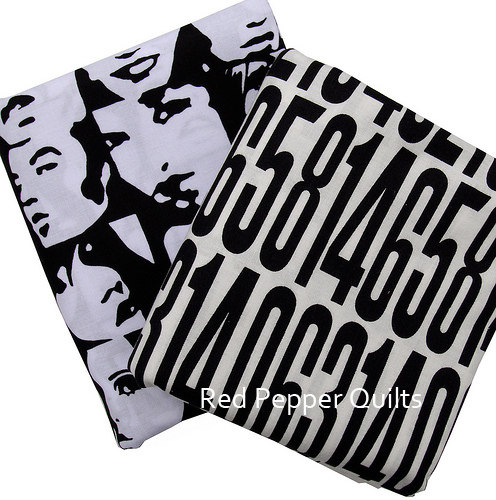 Both these prints are new releases although the In Crowd print (with faces) is a reprint of an earlier AH fabric. Disclosure: The iHaus bundle of fabric was sent to me courtesy of Cloud 9 Fabrics without obligation - the words, photos and opinions however are all mine. Love those iHaus fabrics, especially the triangles. I am particularly drawn to the hexagons too. TFS. Thank you Rita....I love the hexagons and the AH prints. Lovely fabrics! I like the simple designs.